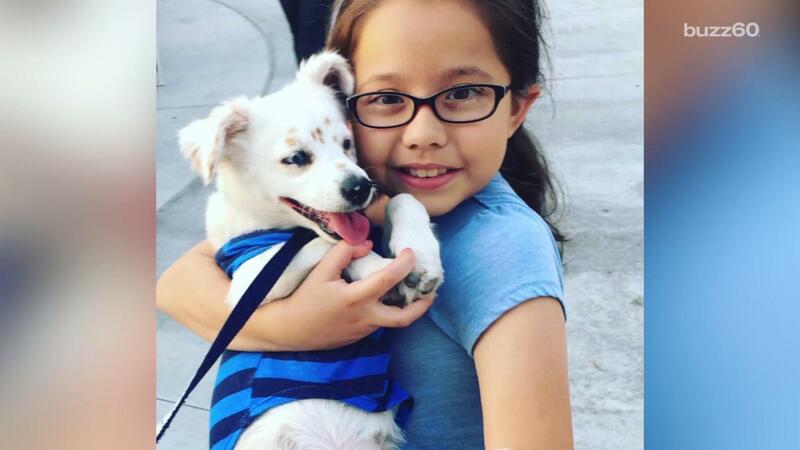 Ten-year-old Julia and her rescue dog, Walter, were both born deaf. Now, Julia is practicing her sign language skills with her very adorable (and hairy) student. A new video from the Pasadena Humane Society and SPCA tells 7-month-old Walter's adoption story, which begins with Julia's mother, Chrissy, realizing the two were meant to be together. "When I first held Julia, since she couldn't really hear my voice, she would smell my neck," Chrissy says in the video. "And when I first held Walter, he did almost the same exact thing. "I remember looking at him and I knew he was meant to be ours," she added. Now, Julia teaches Walter hand commands using sign-language terms — including "sit," "water" and "food." "Walter is my best friend," Julia says. If Walter's playfulness is any indication, we assume he feels the same way.